There are different types of personal property and different types of appraisals. Since Insurance and estate requirements vary, the appraiser will first determine which items need to be appraised. With Specialty Appraisals you only pay for what you actually need. The appraisal inventory is conducted by a certified personal property appraiser in the privacy of your home, business, or storage locker. A portable gem lab is used for jewelry appraisals. Your jewelry is weighed, measured, and graded while you watch. You do not need to leave it. 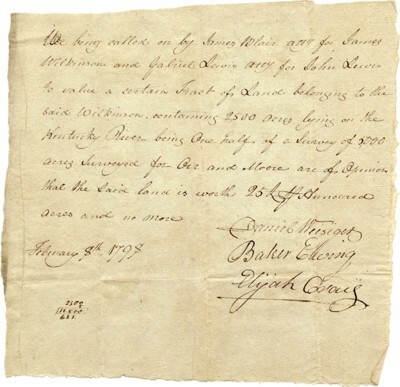 After the appraisal inventory is done, your items are thoroughly researched in the appropriate market. Your USPAP compliant document, along with digital images, is then mailed to you. Most home contents are already covered on a standard homeowner's policy without an appraisal. Your policy will have coverage limits on fine art, jewelry, silver, and high-end antiques. Your insurance agent can give you some guidance about what you should consider having appraised. It is always a good idea to talk to your insurance agent before you call a personal property appraiser. For estates and probate, the IRS does not require you to have everything in the estate appraised. We can help you figure out what you really need to have done. You do not need an appraisal for donations totaling less than $5,000.00 (fair market value, not retail value). You only need to fill out a form (8283) for anything over $500.00 (see below). Make sure you contact the charity (the donee) because donations between $500.00 and $5,000.00 requires the original signature of the charity. It's best to find out who will sign the form before you make the donation. If you think the donation value may exceed $5,000.00, you will need an appraisal. In this case, we will provide the form 8283 with the appraiser's signature. You can then make arrangements for the charity to sign the form. Contact the appraiser to have the inventory completed BEFORE YOU MAKE THE DONATION. You will have less chance of an audit if you do. Also, some things cannot be appraised from photographs. Keep in mind that the date of the appraisal cannot precede the donation by more than 60 days. Sometimes, a little co-ordination between the client, the appraiser, and the charity will help to lay the proper ground-work for all concerned. This link will take you to the IRS publication that will help you determine values for donations. It's a long document. You might want to save it to your computer rather than printing it. Two good sources to find values for household contents are the Goodwill and the Salvation Army. Both publish on-line pricing guides. They provide a range of selling prices. Feel free to use the top of the range if your items are in good condition. If you want to spend some time, ebay sold items are also a good place to find values. Just print a copy for your records. Asking prices are not the same as sold prices so be sure to check the "sold" box on the left side of the menu. We do try to keep the links current. If you find that a link is broken, please use the contact us page to let us know. Written appraisals are based on an on-premise inventory of your valuables. This is especially important when it comes to jewelry. Specialty Appraisals provides an on-premise inventory of your jewelry. We bring all the the equipment to your home or business, including a microscope , portable gem lab and scales. All of the grading, measuring and weighing is done while you watch. Only the information is taken back to the office to create your appraisal. The vast majority of appraisers and jewelers are honest. On rare occasions, someone is not honest as in the case of the Newport Beach Jeweler who switched friends and clients diamonds with fakes. The case was covered by MyNewsLA.com The link features the full text of the article. If requested, you will receive a signed copy of All About Antique Silver with International Hallmarks with a minimum of 2 hours inventory time from Specialty Appraisals. 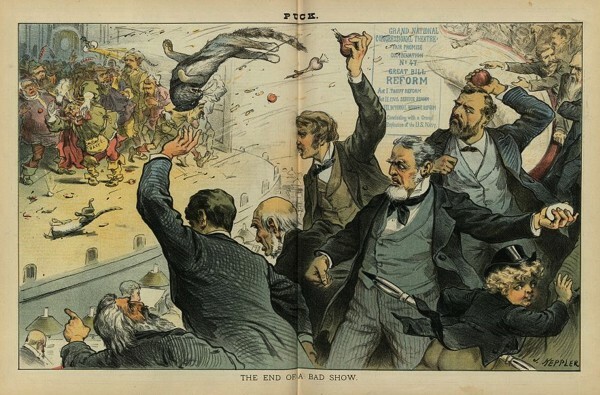 1883 Puck magazine, legislators as actors passing tariff and revenue reform, audience pelts them with cats, eggs, onions, turnips, and etc. In the southern California (ca) area our primary service locations in Orange County, ca include: Orange, Ca, Anaheim, Ca, Huntington Beach, Ca, Irvine, Ca and surrounding cities. Our service locations in San Bernardino County, ca includes: San Bernardino, Ca, Chino Hills, Ca, Redlands, Ca, Riverside, Ca and nearby locations in the Coachella Valley like Palm Desert and Palm Springs. Our primary service locations in Los Angeles County, ca include: Los Angeles, Ca Encino, Ca, Woodland Hills, Ca and Glendale, Ca (also includes surrounding cities).Please feel free to call us about services in your area.